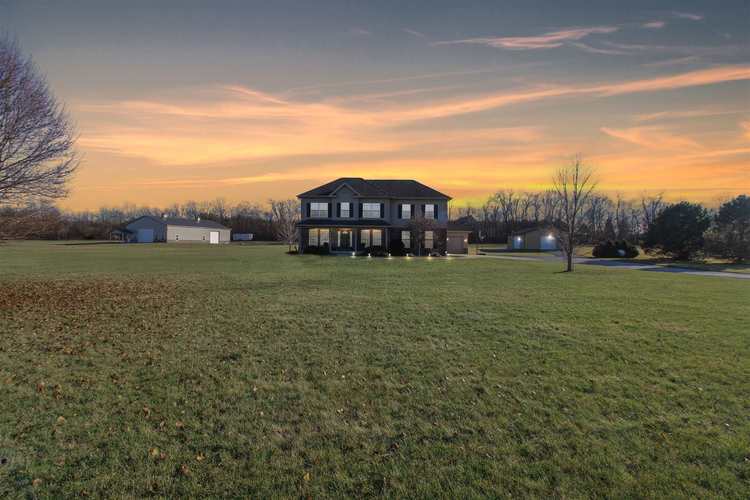 This 4000 sqft home sits on 3.2+ acres! Main level features large living room with gas fireplace. Open floor plan into the kitchen has hardwood floors, stainless steel appliances, built in desk, large kitchen island with seating and storage, gas range and tons of cabinet space. The mud room/laundry area has a sink, small folding area and cubies. Formal dining room and office space just off the foyer. Upper level has over 1800 SF with massive master suite and bathroom. The upstairs game room is a great place for family entertainment. The finished basement features a pool table in the rec room Living/Media room, and wet bar. Hours of entertainment await in the backyard with above ground pool, deck and open space for a neighborhood ball game. 30x40 pole barn has electric, wall heater and wood stove and is spray foam insulated. A great place for car projects, hobbies or recreational vehicles. Neighborhood is Horse friendly.